Kung Fu Wax is a UK based hard house record label established in November 2007 by North American DJ & producer Rodi Style. After releasing over 50 singles on various labels, Rodi Style saw the opportunity to create a high quality hard house label through the backing and support of Toolbox music distribution. With high expectations, the label's first three releases were met with strong support within the hard dance community and was supported by many of the scene's heavy hitters along with a positive review in Mixmag magazine, BBC Radio1, Kiss FM and RTE Pulse airplays and a massive global support from all the A list DJs including Lisa Lashes, Proteus, Andy Farley and Kutski. Not showing any signs of slowing down, the following 4th release was licensed to two compilations, aired on BBC Radio1 and took our vinyl days out on a positive note. In 2009, Kung Fu made the transitioned over to the digital realm alongside CD singles while providing the same careful quality control to ensure each release was nothing short of grade A quality. 2010 now and with the addition of UK based DJ/Producers Tongue & Groove to the Kung Fu family, the future is looking bright! Expect a continued output of high end hard dance from names such as Amber D, Ben Stevens, JP & Jukesy, Jon Doe, Chris Comben, Tom Parr, Venkman, Tongue & Groove and of course label owner Rodi Style! We have a podcast now! Hosted by our resident from Canada Aaron Olson, this is where you can hear some of our forthcoming releases and guest mixes from DJs around the world! We at Kung Fu Wax are always on the lookout for talented producers from any and all parts of the world. Please send demos in 320kbps mp3 format in a downloadable link (yousendit, sendspace etc.) 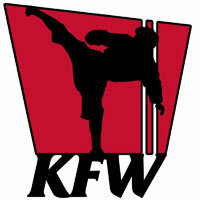 for the label consideration to demos@kungfuwax.com or alternatively upload it to our soundcloud page with your details. We will try our very best to respond with feedback in a few days but apologize if we are late as we may be receiving so many demos it may take some time to respond.